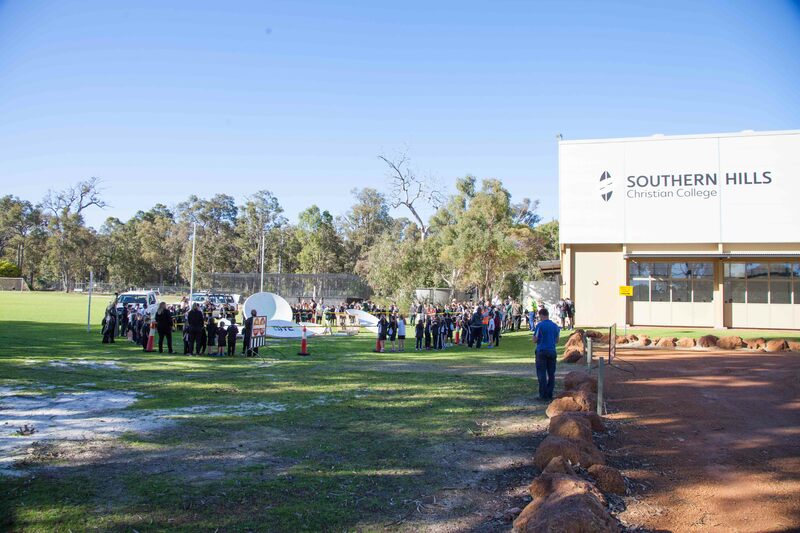 STUDENTS arrived at Southern Hills Christian College on Friday to notice a collection of satellites and ‘space debris’ outside the gymnasium, for the college’s first ‘Writing Stimulus Day’. “Book week came to a dramatic and exciting conclusion today, with a visual display set up to capture the student’s imagination and inspire them to produce a piece of writing”, said the College’s Dean of Curriculum, Mr Andrew Johnston. As the students arrived at the College, they noticed a full size satellite dish, scattered in pieces, sectioned off with security tape. Parents and members of the community joined in as policemen and ‘NASA Specialists’, conducting a simulated investigation. “Students were ushered into an ‘emergency assembly’ where they were informed that there has been a mysterious event, and we requested their help to find out what happened”, continued Mr Johnston. “They were then taken to inspect the crash site and complete different activities, targeted to their year levels, throughout the day,” he said. "They came down from space because something banged into them. They're used for building and they're on houses"
"It was wrecked in a storm and the wind blew it to our school. It's from a satellite tower"
Year one students produced stories and drew illustrations of how they thought the satellites came to land on the oval. Year four students produced creative writing pieces, reporting on their findings. 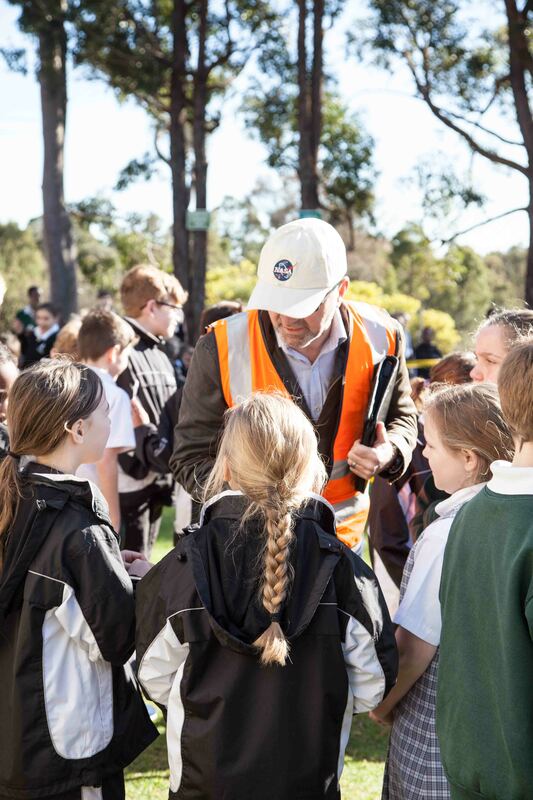 Year 5 students responded by drafting a number of insightful questions they would then use to interview the experts in attendance, including the origin of the satellites, what might cause them to fall out of the sky, and whether it has anything to do with current world events. Students from the College’s secondary years assisted with the activities by acting as reporters, interviewing primary students about their findings. “Activities like this, which encourage inquiry, are an out of the box way to inspire students to use their literacy skills”, said College Principal Mr. Paul Beacham. “As educators, we need to think creatively to challenge our students to develop and use these skills, to be ready for the challenges of life after school. “I’m extremely grateful for the effort that our teachers and community have contributed to this activity, which has and will deliver great outcomes for students across our College”, he said.